It’s safe to say that working with cheese all day long would be many people’s idea of a dream job. For Kendall and John Antonelli, that dream is a reality. 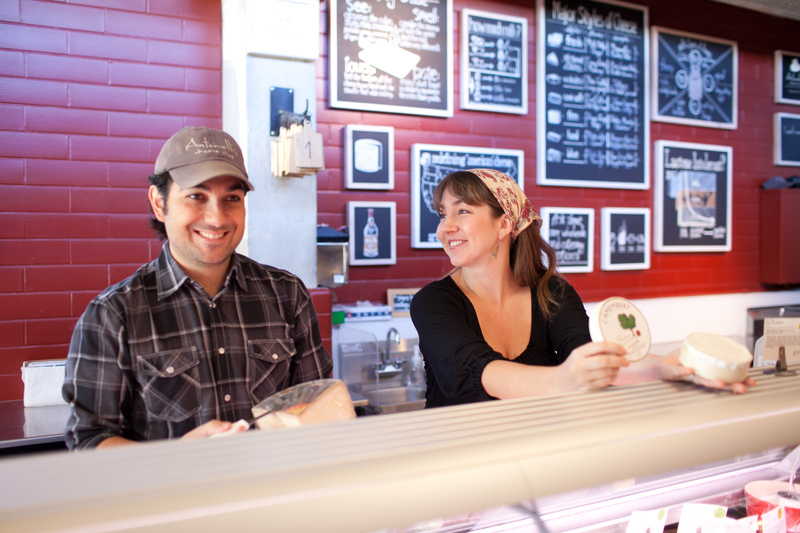 In 2010, the pair opened up Antonelli’s Cheese Shop and were welcomed with immense support from the community. The shop has seen its fair share of successes over its seven years in business; they added the Cheese House, a private event and class venue across the street from the shop, their artisanal cheeses are carried by numerous restaurants and shops across the city and they’re opening a second location in the fall. Did you know that you wanted your own business? From the moment we started dating, John and I couldn’t stand to be apart; we know it makes people sick to hear! But to that end, we always envisioned a time when our two professional paths would intersect for us to work together. When we sat on the beach on our honeymoon and envisioned that future, as well as in later discussions of our strengths and weaknesses, we determined we’re at our best when we’re eating, talking, traveling, and just plain being together. So we put it all into the idea of a mom and pop retail shop. What has been the most unexpected part of running your own business? We knew from the beginning that we basically knew nothing. John spent two years preparing and we still felt unprepared. It’s just like having a child. Everybody tells you, “Oh, but you won’t understand until you have the child.” I get that, but it’s not a constructive or helpful tool! So, in the end, I think what we did best was that we fully acknowledged that we didn’t know what was coming our way and that we were just along for the adventure as long as we could do it. That’s helped us through both the highs and lows of entrepreneurship – that sense of adventure and that every day is a journey. The most unexpected part was that we never dreamed we’d have the support of our community as much as we did. From that first day with lines out the door to folks proposing in our shop to hosting numerous team building events for companies, we’re just always so grateful and humbled that people choose to spend their hard-earned dollar with us. 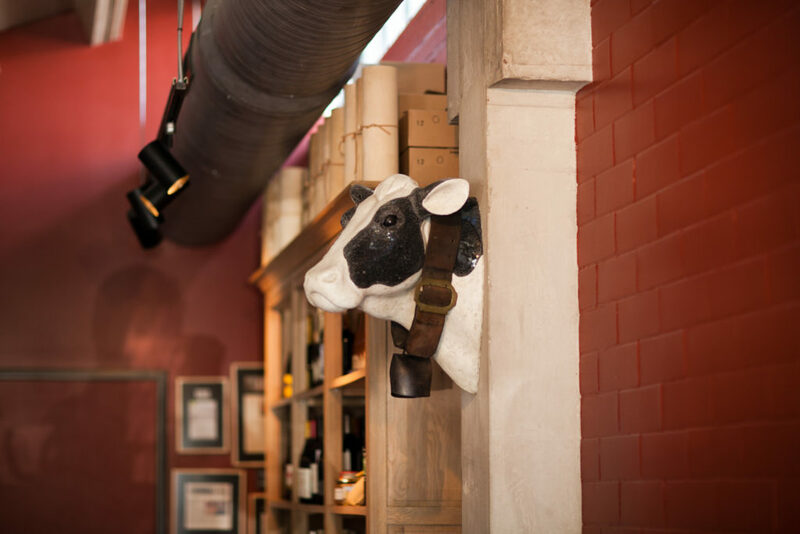 That’s why it’s paramount to us that we exceed their expectations, give them the best experience, and tell a (delicious) story of good food and the artisans that make it. Surrounding ourselves with the right people and letting go to let them shine has been the best decision for our business. Not only has it allowed a fresh perspective on things, but it’s freed us up to grow and represent the business in new ways, as well as be more active in our community. And now, we wake up early every day just to work on ourselves. John is working his way through all the business books out there. (I admit, I sleep longer and get his highlights!) But we wake up daily with the goal to do one thing in our personal lives and one thing in our professional lives that makes both better. Making time to do that is the best thing we were told to do. After 7 years, how has Antonelli’s grown and what do you see for its future? We just announced the fall opening of our second location. It will be part of the Fareground (111 Congress), Austin’s first food hall. We’re thrilled to be featured alongside the talent behind Contigo/Chicon, Emmer & Rye, Kome/Daruma, Dai Due, and the Elm Group (Easy Tiger/Irene’s/Italic/24 Diner). 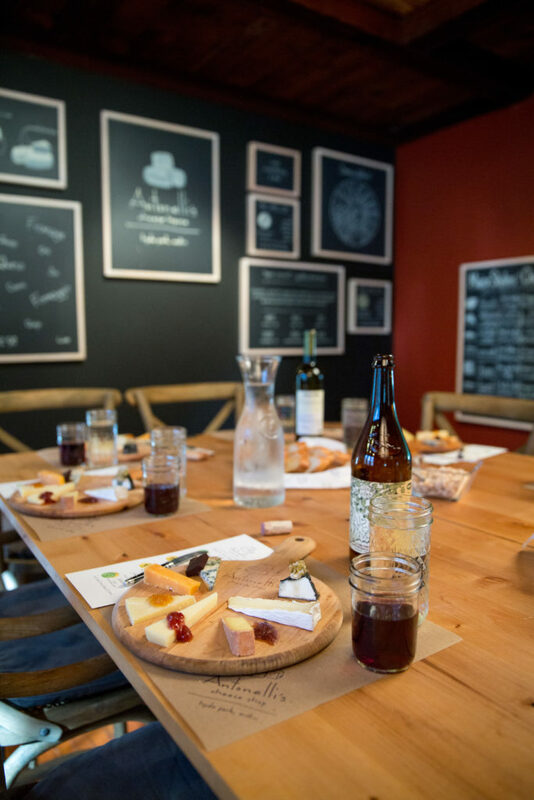 We’ll have the opportunity in that space to not only continue our tradition of providing cut-to-order service and complimentary tastings of handcrafted cheeses and meats, but we’ll also provide some food service (that’s obviously cheese focused!). 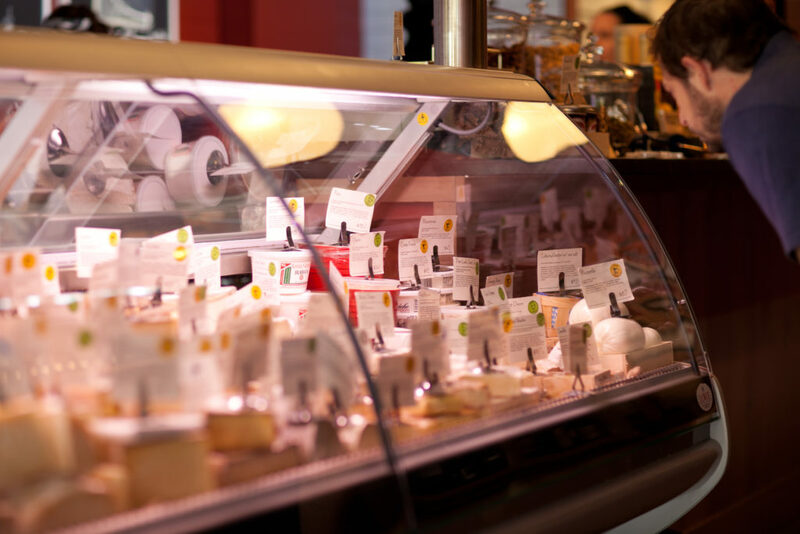 From pressed sandwiches and salads to seasonal specialties like raclette in the winter and burrata in the summer, we look forward to showing our passion for cheese in a whole new way. Favorite thing to do in Austin after a stressful week? When we got the opportunity to take our first date after opening the business (which didn’t happen for months – maybe even almost a year! ), we talked the whole time about work. So, we quickly realized the only way to not talk about work is to go to a movie. Our favorite date nights are either hitting up the Alamo Drafthouse or Violet Crown Cinema or heading to a restaurant that’s a wholesale partner. Okay, and Uchiko. It’s all about the service!